Shopping for someone else but not sure what to give them? 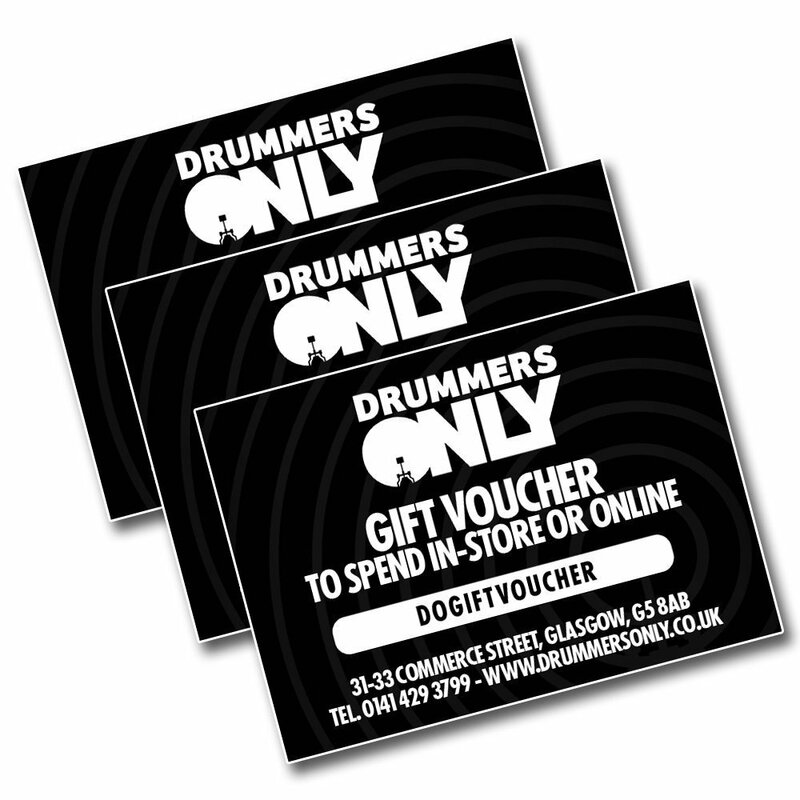 Give them the gift of choice with a Drummers Only Gift Voucher! Gift vouchers can be delivered by email or as a downloadable PDF you can print yourself. They include instructions to redeem them at checkout and can also be used in-store. Please note – gift vouchers are valid for 180 days from the date of purchase. We currently have plenty of these in stock in our Glasgow Store that are ready for immediate dispatch.